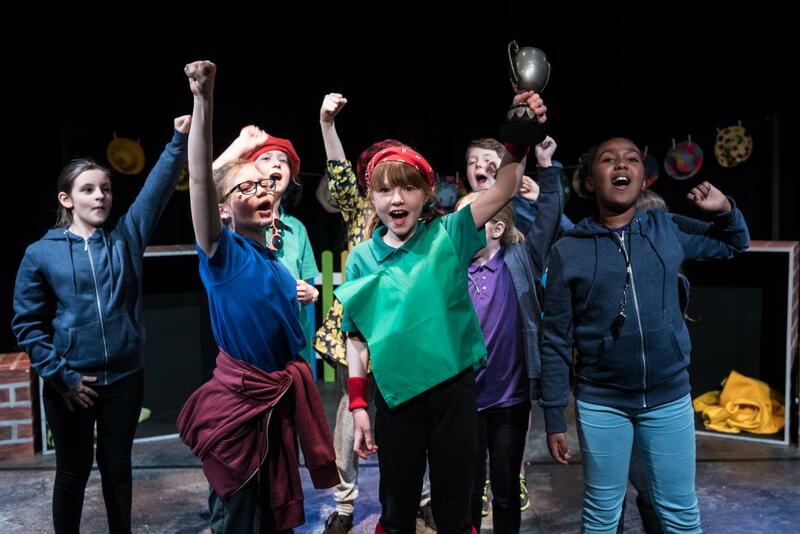 Plus One is an award-winning new approach to cultural education, bringing the transformative power of theatre into the lives of children and families within the care system. Spearheaded by Derby Theatre, Derby’s Strategic Cultural Group, which includes Déda, Derby Museums, QUAD and Sinfonia ViVA, has worked closely with Derby's care sector to make sure Plus One is authentically and uniquely tailored for the young people and families involved in the scheme. Public donors, including Barnardo's and The Mighty Creatives, bring Plus One to life. The scheme unlocks the cultural experience for young people with reams of creative potential waiting to be discovered. Collaboration with our partners enables us to provide a diverse range of opportunities for young people to interact with the arts in an unprecedented way. In addition to free tickets for films and productions across Derby's Strategic Cultural Group, Plus One offers workshops and projects run by a team of experts from across the creative spectrum - from theatre, to music, to dance. Cultural experiences are incredibly beneficial in enhancing the confidence and self-perception of young people. Our vision for Plus One imagines a city without barriers, where every child can share in these benefits. Our brilliant donors have allowed us to help more than 500 young people and 2,000 families so far. But we can do even better. Every donation helps us to change more lives, shatter more boundaries, and bring more families together. We welcome donors and donations of all shapes and sizes! If you would like to help us support children in care and care leavers, you can donate to Plus One at the Box Offices at Derby Theatre, Déda and QUAD, online using the link below, or on your mobile - just text PLUS10 and the amount you would like to donate to 70070. If you have any questions about making a donation, please don't hesitate to contact our Box Office on 01332 593939. Your support means the world to us and those we help. Thank you. The creative partners are three registered charities: Derby Theatre (Reg. Charity No. 1129005); QUAD (reg. Charity No. 115546) and Déda (Reg. Charity No. 1053633). Baby People are a not-for-profit company. Plus One has been supported and given initial investment by The Mighty Creatives.